Over the past few years, BuzzFeed Studios has brought a multitude of projects to TV networks and digital platforms. Now, thanks to its latest deal, it is primed to make more of them. The production arm of media company BuzzFeed has inked a partnership with major talent agency WME, through which it will expand its lineup of premium programming. BuzzFeed Studios has already sold projects to major distributors like Oxygen, where it brought a true crime series about the murder of a teenager named Jessica Chambers, and Netflix, for whom it is creating a series about its journalists. 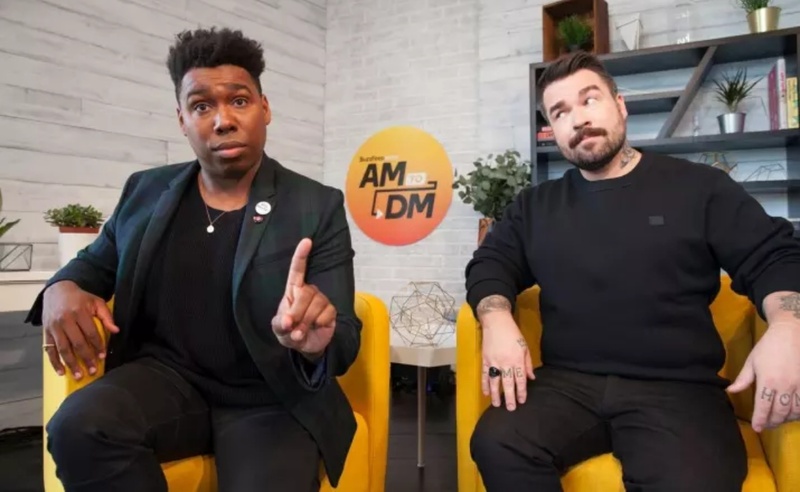 On digital platforms, BuzzFeed’s output has been prolific; shows that full under the umbrella of its studio arm include the Twitter news program AM To DM (pictured above) and the super-popular YouTube web series Worth It. BuzzFeed also has ambitions in the film industry that date back to at least 2016. Through its partnership with WME, BuzzFeed will have the opportunity to further its content initiatives across the board. According to The Hollywood Reporter, which first covered the news of the deal, WME will help BuzzFeed bring new projects to film, TV, and digital platforms. The pact between BuzzFeed Studios and WME comes right after the former entity made a change at the top of its leadership team. In March, former BuzzFeed Studios head Matthew Henick decamped for Facebook, where he has come on board to lead global video content strategy and planning. He has been replaced at his former company by Lauren Dolgen, a Vice and MTV vet who officially joined BuzzFeed earlier in May.